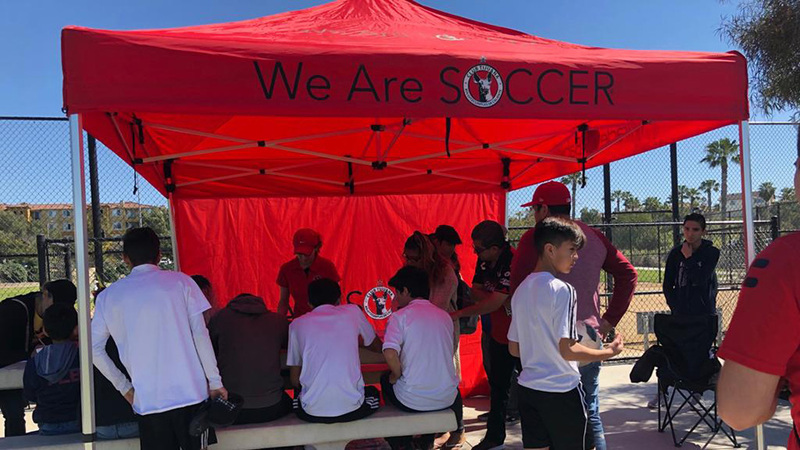 CHULA VISTA –The Xolos Academy FC Chula Vista chapter was well represented at the San Diego Premier tournament last weekend. 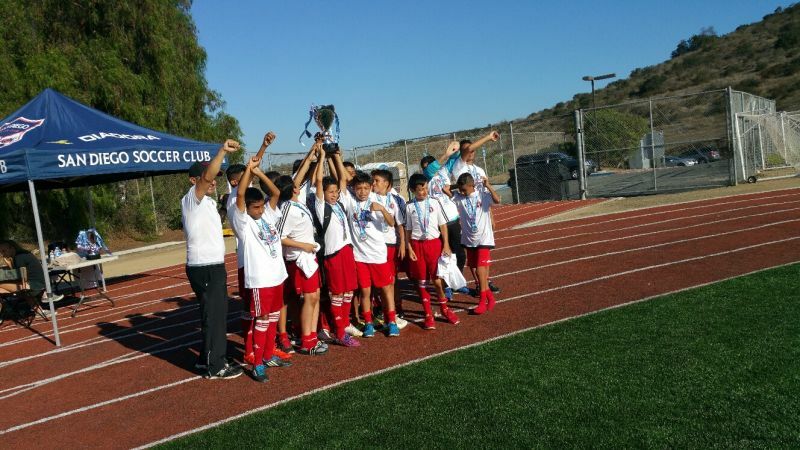 The Under-11 and Under 14 teams took championships in their corresponding categories in the tournament played in North San Diego County from Aug. 8 through 9. 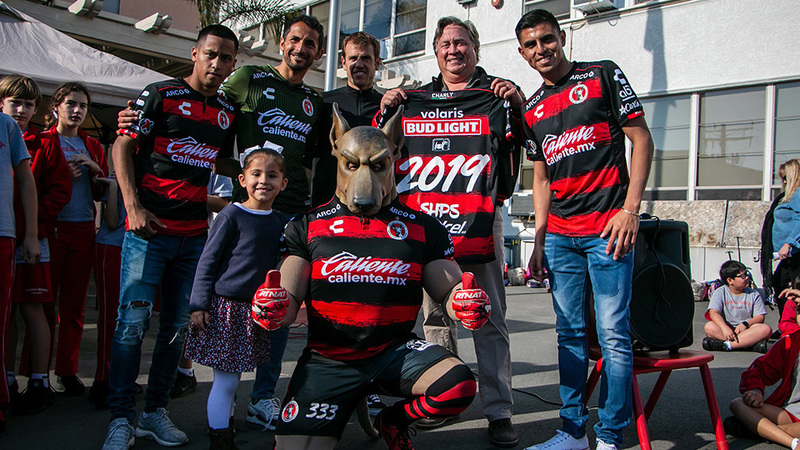 The Xoloitzcuintles had two champions and a runner up in the Under-16 team coached by Matt Emmert. 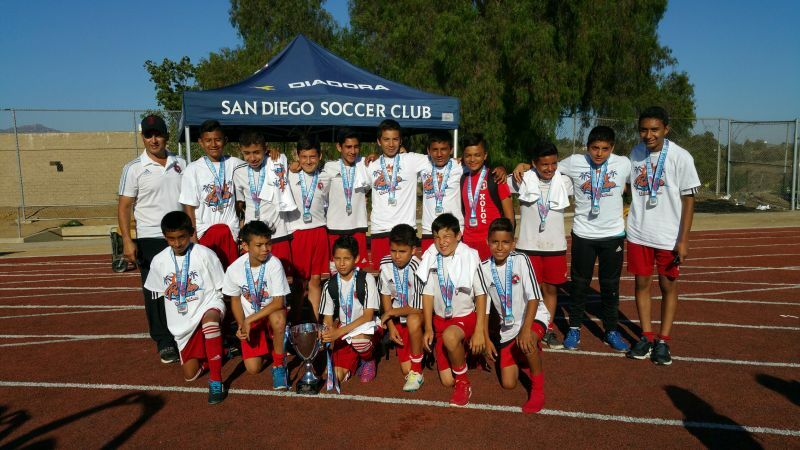 The Under-11 was led by coach Jorge Lopez won three matches with a 15-5 goal difference and it beat San Diego SC 3-2 in the championship match. 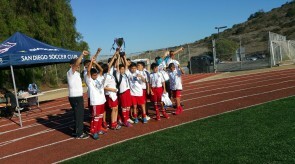 The Under-14 squad was coached by Luis Guerra, beat Albion SC South 1-0 in the final of that category. 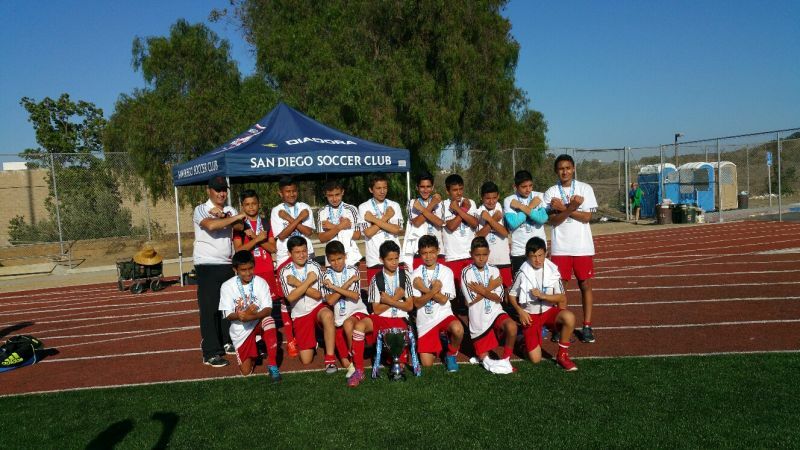 The Xoloitzcuintles finished Bracket A, winning its three group matches while outscoring opponents 9-1. 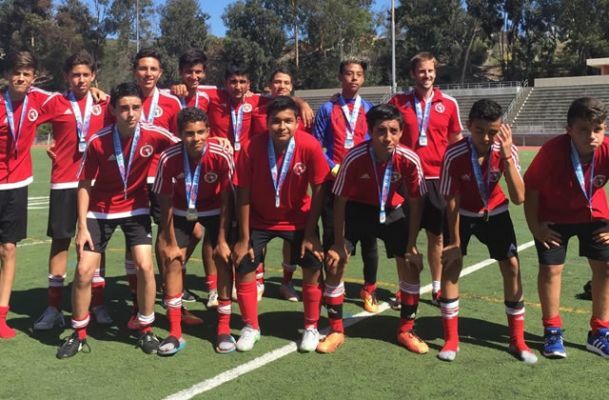 Emmert’s Under-16 team finished second in its group with a 2-1 record and 17 points in the Bracket A standings. 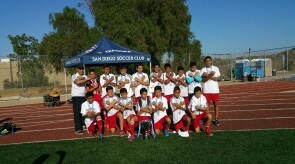 The Xoloitzcuintles lost 2-1 to Carlsbad United in the championship match. 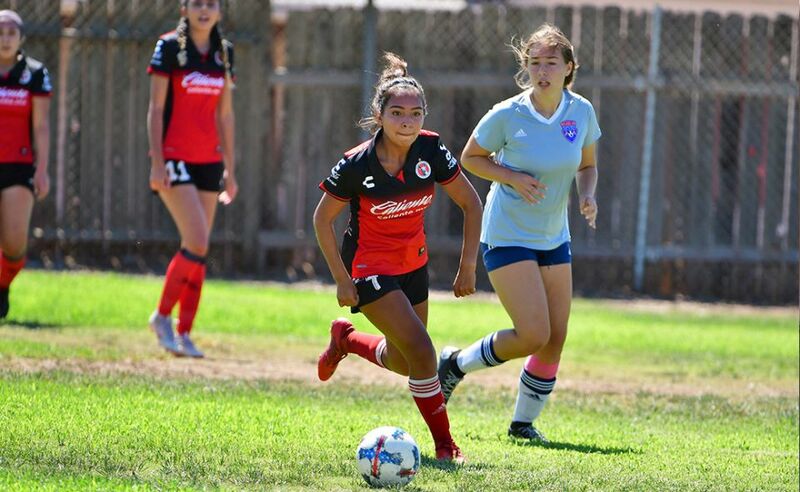 The San Diego Premier tournament served as part of the preparation for the start of the Presidio League scheduled late August- early September. The Under-16 squad with its runner-up medals. Coach Luis Guerra's Under-14 championship squad.